1: Only candidates who have previously satisfied the MCQ stage of HCAP assessment are permitted to participate in the Range Test stage. 2: Candidates are allowed two only attempts at fulfilling requirements on the Grouping Target, followed by one only attempt at fulfilling requirements on the Deer Target; or one attempt on the Grouping Target followed by two attempts at the Deer Target. Candidates are not permitted two attempts at the Grouping Target followed by two attempts at the Deer Target. 3: Candidates are permitted two attempts at satisfying Range Test requirements, on two separate Range Test dates, subject to prevailing repeat fee (currently €50.00). Should any candidate need to repeat the Range Test again after a second full attempt, they may do so only subject to payment of the full HCAP Fee of €100.00. 4: All HCAP candidates are required to complete HCAP Assessment within 180 days of date of their MCQ, i.e. all candidates must pass their Range Test within 180 days of sitting their first attempt at the MCQ. Candidates may repeat the Range Test stage of the certifying test as often as they wish and as often as administrative arrangements allow, within the 180 day timeframe but if certification is not achieved within that time, candidates must then recommence the process from the beginning, including re-sitting a current MCQ even where they may have previously passed the MCQ. 5: Range Test candidates must register with Range management on arrival at the Range. 6: Countryside Alliance insurance is the preferred insurance cover, membership of NARGC Compensation Scheme Fund is also recognised and accepted by Range management. All candidates must provide evidence of current insurance cover if requested. 7: Modified firearms i.e. rifles fitted with sound moderators may not be used on the Range in any circumstances, except where evidence of re-proofing after fitting of moderator can be provided. Candidates requiring further comment on this aspect of Range procedures should contact the MRC directly. 8: No zeroing is permitted before or during the Range Test. 9: Hearing protection should be worn at all times when the Range is “live”. Candidates must provide their own hearing protection, also firing point groundsheets for use on the Open Range. 10: Breech flags must be used when firearm is not in actual use. Breech flags are available for purchase on the Range. 11: All instructions of designated Range personnel must be obeyed at all time. On issues of safety, the authority of Range management personnel overrides all other authority at all times. 12: If shooting on the covered range at MRC, a warning signal will sound and a red light will flash as an instruction to cease fire. This signal is to be obeyed immediately. All firing should cease and all firearms should be racked or laid down with bolts opened and breech flags inserted. 13: In any firing position but especially when standing, sitting or kneeling, ammunition must not be inserted in the breech except when the barrel of the firearm is horizontal to the target. Do not load or close bolt when the barrel is pointing either skyward or to the ground. 14: Move forward on the Range only when advised or permitted to do so by the designated Range Officer and at no other time. This entry was posted in Uncategorized on November 23, 2007 by Liam Nolan. The first stage of the HCAP assessment procedure is the Multiple Choice Question Test (MCQ), in which candidates are required to answer fifty questions in fifty minutes in a written test of general knowledge about deer and deer stalking in Ireland. The pass requirement is 40 correct answers. The Deer Alliance HCAP Assessment Committee has a strict policy of not publishing a Question & Answer matrix and instead refers candidates to the Stalker Training Manual available for purchase through the main Deer Alliance website (www.deeralliance.ie). For each MCQ test, fifty questions are chosen at random from a bank of approximately 300 questions, each question having from three to six possible answers, of which only one is deemed to be correct. There are also a number of “true or false” questions. Thus the MCQ paper will vary from sitting to sitting, although certain questions will always be on the paper as the knowledge concerned is considered to be critical, both legally and practically. To help candidates therefore, the following specimen questions are provided as a study aid in preparation for sitting the MCQ. This list is by no means exhaustive and should not be taken as any indication that the same questions, or any individual question, will appear on any given MCQ paper. The first and best advice will always be to study the Deer Alliance Stalker Training Manual, published by the Deer Alliance as part of the HCAP assessment procedure. What is the commonest and most widespread species of deer in Ireland? To whom are you obliged to show your hunting licence if challenged while out stalking? What are the best months to carry out a census of woodland deer? What does the term Browsing describe? What are the main physical differences between sika deer and fallow deer? What should be the main objectives of a good deer manager? What is the spin imparted to a bullet by the barrel rifling intended to do? “Deer are colour-blind, so wearing hi-visibility clothing while stalking (as recommended by Coillte) has no effect on the success or failure of your stalk”. Is this statement true or false? “The current standard Coillte sporting licence stipulates that, for health, animal disease prevention and vermin control reasons, the gralloch (offal or viscera from a shot deer) must always be buried inside the forest immediately after shooting”. Is this statement true or false? You have shot a deer and wish to sell the carcass to a registered game dealer. You have no chilling facilities at home. Within what time frame must the carcass be presented to the game dealer? What characterises a yeld hind? Where are scent glands in deer located? What is the average gestation period in Irish deer species? Where should you place warning notices prior to commencing stalking on Coillte property? What is the minimum legally-required muzzle energy of a rifle intended for hunting deer? Bovine tuberculosis is a scheduled and notifiable disease. If you find evidence of TB in a deer carcase, who must by law be notified? When examining a deer carcase for bovine tuberculosis, where should you look for evidence of infection or abscessation? Where are the retropharyngeal lymph nodes located? The current open season for fallow does in Co. Dublin runs from what date to what date? The current close season for sika stags in Co. Wicklow is from what date to what date? Within which daily time frame may you legally hunt wild deer on private land (assuming that you are fully licensed and authorised in every respect)? The current standard Coillte licence/permit allows you to stalk deer between what hours of each day? You want to do a deer count on the forest area that you stalk, in order to confirm the proposed cull. You propose doing this at night with the aid of a lamp. In what circumstances can you do this? Who owns wild deer while they are alive? Who owns wild deer once they are legally hunted, shot and killed? The ordinary period for which a deer hunting licence may be granted runs from what date to what date? You are out shooting foxes during the closed season for deer, on land where you have permission to hunt deer. In what circumstances may you legally shoot red deer? You are out shooting foxes during the closed season for deer, on land where you have permission to hunt deer. In what circumstances may you legally shoot sika or fallow deer? Where is the caudal disc located on a sika deer? What is the current minimum age at which application may be made for a deer hunting licence? What is the current minimum age at which a person is entitled to hold a full firearms certificate? The effect of rising deer numbers in an area is likely to be first noticed by observing what? What is meant by “the shot clock”? In what circumstances may a deer is found injured on the road, apparently beyond the prospect of saving, be legally killed? What does “Zeroing” of a rifle and telescopic sights mean? What wording best describes the trajectory of a bullet? Coillte reserves concurrent rights to control deer on some licensed properties. When will these rights normally be exercised and to remove what type of animals? Motorised vehicular access to Coillte property is permitted for what purposes only? When is it legal in Ireland to hunt or kill deer with a bow and arrow especially designed for deer hunting? The metatarsal gland on a sika hind is located where? The metatarsal gland on a mature sika stag is what colour? You shoot a deer, which kicks out high in the air with its hind legs before moving off with lowered head and hunched back. In what part of its body has it most likely been shot? A distinct trail of bright red blood indicates a deer shot in what part of its body? A reasonable estimation of the age of a culled male deer can be gained from what aspects of its body? What should be the correct point of aim when shooting at a target steeply below the shooter? What should be the correct point of aim when shooting at a target steeply above the shooter? This entry was posted in Uncategorized on November 22, 2007 by Liam Nolan. 2: Multiple Choice Question (MCQ) examinations are normally held at regional centres on a cyclical basis, facilitating candidates from different regions. 3: Range Tests are normally held at the Midland Rifle Range, Blue Ball, Tullamore, Co. Offaly. Other venues may be considered subject to official approval of range and confirmation of compliance with all relevant safety and insurance requirements. 4: Applications for HCAP assessment must be received a minimum of two (2) weeks before each scheduled date. 5: All HCAP candidates are required to complete HCAP Assessment within 180 days of date of their MCQ, i.e. all candidates must pass their Range Test within 180 days of sitting their first attempt at the MCQ. Candidates may repeat the MCQ once only and/or the Range Test once only at the discounted Repeat Fee of €50.00. Should any candidate need to repeat the MCQ or the Range Test more than once, they may do so only subject to payment of the full HCAP Fee of €100.00. Failed MCQ or Range Test candidates may repeat the relevant stage of the certifying test as often as they wish and as often as administrative arrangements allow, within the 180 day timeframe but if certification is not achieved within that time, candidates must then recommence the process from the beginning, including re-sitting a current MCQ even where they may have previously passed the MCQ. 6: A maximum of fifty (50) candidates can be accommodated for each MCQ. 7: A minimum of thirty (30) candidates will be required before a Range Test can be confirmed. Normally, a maximum of sixty (60) candidates can be accommodated on a single-day Range Test. 8: Each initial application for assessment must be accompanied by the standard assessment application fee of €100.00 (euros, one hundred). This fee covers the ordinary progression from MCQ to Range Test and certification, assuming success on the first attempt at both stages. 9: The pass standard for the MCQ is 80% i.e. forty correct answers out of 50 questions.  Questions are set at random from a bank of approximately 300 questions and answers developed over time by the Deer Alliance Development Committee and reviewed on an occasional basis by the Officer Board of the HCAP Assessment Committee. 11: A candidate being unsuccessful at a first sitting of the MCQ stage may apply to re-sit the MCQ once only at the reduced repeat application fee of €50.00 (euros, fifty), at the next available date according to the schedule of dates and venues decided by the HCAP Committee. 12: A candidate being unsuccessful at a second sitting of the MCQ stage may apply to sit the MCQ again at any subsequent sitting of the MCQ (within the permitted 180-day limit) subject to payment of the full ordinary application fee of €100.00 (euros, one hundred). 13: No candidate may proceed to attempt the Range Test without first having succeeded at the MCQ stage of HCAP assessment. 14: A candidate being unsuccessful at the Range Test or oral safety examination stage of HCAP assessment may apply to repeat the Range Test or oral safety examination stage once only at the reduced repeat application fee of €50.00 (euros, fifty), at a subsequent scheduled Range Test date. 15: A candidate being unsuccessful at a second attempt at the Range Test or oral safety examination may apply to attempt the Range Test again at any subsequent schedule Range Test (within the permitted 180-day limit), subject to payment of the ordinary repeat application fee of €50.00 (euros, fifty). 16: A candidate having passed the MCQ stage but being unsuccessful at second or more attempts at the Range Test or oral safety examination stage within the permitted 180-day limit, and still requiring to achieve HCAP certification, must repeat the entire assessment process, including MCQ, Range Test and oral safety examination, subject to payment of the full ordinary application fee of €100.00 (euros, one hundred). 17: A candidate having been successful at the MCQ, Range Test and oral safety examination stages of HCAP assessment will be deemed to have satisfied HCAP certification requirements with immediate effect and shall have their status as HCAP-certified candidates confirmed to them in writing as soon as possible after having satisfied certification requirements and shall receive an official HCAP Certificate thereafter. 18: Coillte Teoranta and/or other agreed and relevant parties shall be advised in writing of the names and Personal HCAP Assessment Numbers of all successful candidates as soon as possible after the certification process. The HCAP Assessment Committee shall maintain a Register of all HCAP-certified persons at all times, which shall be available for inspection and consultation by approved parties, subject to approval of the HCAP Assessment Committee. 19: The Personal HCAP Assessment Number allocated to each candidate shall be retained by them and used by them in any and all subsequent correspondence or dealings with the HCAP Assessment Committee and/or Coillte Teoranta. 20: As a general note on the overall HCAP assessment procedure, it should be noted that while it is intended that the Stalker Training Manual should form the basis of all basic training for HCAP candidates, and this is reflected in the bank of questions from which MCQ questions are drawn, candidates are advised that an ongoing process of development and refinement is in place and will continue as more and more experience is gained. The bank of MCQ questions was drawn up by the original Deer Alliance Development Committee some time before publication of the Manual and as such is always under review. Candidates are advised to read as widely as possible, to gain as much practical experience in the field as possible and to participate in one or other of the training courses offered by participating deer organisations from time to time. Ongoing development and improvement of standards is a key objective of the process and this will always be reflected in the MCQ in particular. HCAP Assessment Applications received after January 1, 2007. P. O. Box 10, Bray, Co. Wicklow. This entry was posted in Uncategorized on November 12, 2007 by Liam Nolan.